We've been over this before, but we're going to go over it again: Do not put anything valuable in your checked baggage, period -- unless you're willing to take the chance that it will be lost, damaged or stolen, and you recognize that you will most likely not be reimbursed for the loss. There are a few simple steps you can take to make sure you don't lose your valuables on your next flight, even when baggage handlers want to steal them. Here's a headline for you, from CNN: "Hidden Cameras Reveal Airport Workers Stealing from Luggage." Inside a plane at Miami International Airport, baggage handlers are going on a shopping spree with passengers' bags. What they don't know is that they are being recorded on a hidden camera. The Miami-Dade Police Department set up the camera as part of an ongoing police investigation into luggage thefts by the very airport workers who are supposed to get bags safely onto planes. The problem has been so serious at JFK that in 2013, El Al Airlines set up a hidden camera in a baggage hold. The camera showed baggage handlers stealing items on flights bound for Israel, including a $5,000 Seiko watch, iPhones, an iPad, cameras, gold rings and cash. Cash? In a checked bag? A watch? Rings? You don't even have to put those items in your carry-on; they can go in your pockets or you may simply wear them. We've been over this before, but we're going to go over it again: Do not put anything valuable in your checked baggage, period -- unless you're willing to take the chance that it will be lost, damaged or stolen, and you recognize that you will most likely not be reimbursed for the loss. Now, let's back up a bit: Really, no reimbursement? Well, it is possible to get reimbursed for some lost valuables, but it's rare and usually an exception. 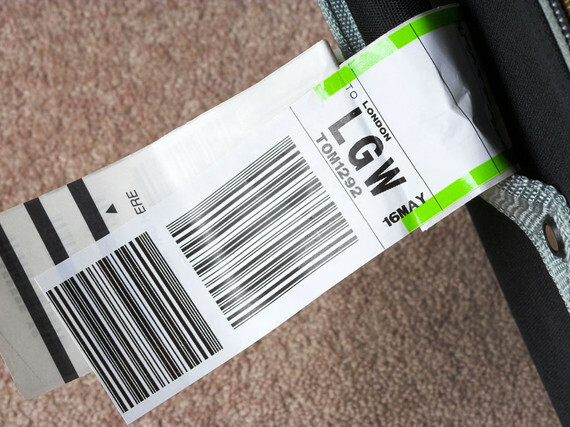 There is even debate about whether it is legal for airlines to exclude all of the items they do from baggage liability, but do you want to go to court to find out whether you can get your airline to pay you for your lost watch or iPad? Wouldn't it be better to carry them with you and not have to worry? As an example of what airlines typically won't cover, here is the applicable excerpt from Alaska Airlines Domestic Contract of Carriage. Why Alaska? Because I like the airline, but even its list is somewhat exhaustive. F. cameras, videos and photographic equipment, camcorders, audio equipment, film, camera equipment, photographs. G. Electronic equipment/devices, personal electronic equipment/devices, including components such as compact discs and video game cartridges. Notice that medications are listed. Keep necessary medication with you at all times. Never mind its monetary value; what matters is its medicinal value, and if your bag goes missing, you won't have access to your medicine anymore. Also, remember that the maximum liability with luggage is either $3,400 on domestic flights, or 1131 SDRs (special drawing rights) on most international flights, which is currently about $1,555. So, if you want to pack a suitcase full of designer clothing, even though airlines don't exclude those items from liability, you will likely be reimbursed far less than the full value if your bag is lost, particularly on an international flight. If you travel with a lot of expensive clothes, consider whether you have insurance that will cover you if your bag goes missing. Put valuables in your carry-on. If your carry-on won't fit under the seat in front of you, keep a lightweight extra bag inside of it that will. Then, if you're forced to check your bag because everyone else has already stuffed the overhead bins, you can remove your valuables and place them in the extra bag. If you need to bring something valuable that won't fit in your carry-on, contact the airline before your flight and ask whether you can declare the extra value and if it will cover loss or damage. If it won't, it's probably best to ship it instead, insured. If you take these simple steps, you will most likely arrive at your destination with the jewelry, cash, iPad, medication, manuscript, sculpture, heirloom and/or pelt you left with.